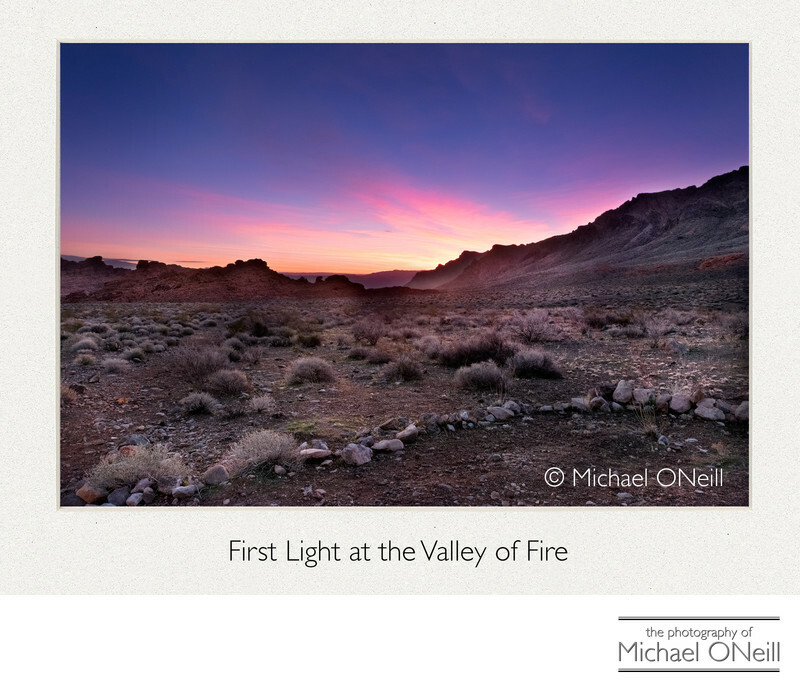 More proof that first light over the American southwest deserts can take your breath away. Tens of thousands of tourists pass through Valley of Fire State Park in Nevada every year, but so few of them truly appreciate the incredible beauty of this place because they do not visit during the "golden hours" of sunrise and sunset. This image was captured just before sunrise when the light from the rising sun is reflected in the clouds above the desert. The deep blue sky and the magenta and yellow tones of the rising sun combine to create an incredible palette of saturated colors over the stark desert landscape. Truth be told, this is the first time I ventured into this location at sunrise despite having visited the park a few times in the past. My reward for getting out of bed at my hotel on the Las Vegas strip (Just 50 miles to the south) was this incredible display by Mother Nature. As you peruse this web site you will find other fantastic images captured in the desert areas around Sin City. I don’t know about you but I think that nature’s "light show" rivals even the prettiest neon lamps of Tropicana Blvd.